Welcome to Nelson Boyd – a different kind of law firm with a different kind of focus. At Nelson Boyd, we recognize that you have only one case and that hiring a lawyer to handle that case is one of the most important decisions you will ever make. We focus on providing personalized service to meet your needs, to exceed your expectations, and to maximize recovery for your injuries. We represent clients throughout the state of Washington, with a special emphasis on the Seattle area, Port Angeles, and Sequim. "Should I ever need an attorney again, I will go straight to Deborah." "My only complaint is that I can’t use her for ALL my legal needs." "It is comforting to have someone like Ms. Nelson on my side." "Deborah was recommended by a good friend and she did not disappoint!" "I am more than pleased with the outcome of the legal matter." "Deborah Nelson is the best attorney I have ever worked with." "Deborah and Jeff did a wonderful job while representing me." "Someone who truly has your back, and truly cares about the outcome." If you were injured in a car accident caused by another party, we can help you pursue aggressive legal action. Motorcycle accidents can be devastating; we can help you pursue the compensation and justice you need. We can help defend your rights if you or someone you love was injured in a serious bicycle accident. We can help victims of pedestrian accidents fight for compensation from the responsible party. Hold the person responsible for the loss of your loved one accountable for their inexcusable negligence or recklessness. 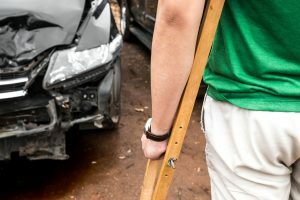 Take legal action to fight for fair compensation if you were hurt by an uninsured or underinsured driver. Truck and bus accidents can have devastating consequences. In the aftermath of an accident, we can help you hold the liable party accountable. We can help you seek compensation from the drunk driver who injured you or damaged your property. Property owners have a legal responsibility to protect guests and visitors and may be liable when they fail. Property owners are responsible for keeping their premises safe and free from hazards that may harm visitors. Construction sites are inherently dangerous workplaces, but that doesn’t mean injuries are an inevitable part of the job. Dog owners are almost always liable for attacks, and we can help you pursue justice. Brain injuries can alter the way a person lives his or her life; take action against the responsible party. Make sure you are treated fairly by an insurer by retaining legal counsel to help exercise your rights. We can help you understand the exact terms of your policy and then take legal action to enforce them. If you need to appeal a decision your insurer made, we can represent your interests throughout the process. Our legal team can develop a legal strategy to fight on your behalf if your insurer has acted in bad faith. It may be necessary to retain legal counsel if you have not been fairly compensated by your insurer. Don’t let an insurer take advantage of you and your situation; consult with a lawyer about your policy. 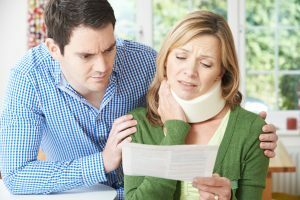 Pursue the compensation you are owed under the exact terms of your policy with the help of a lawyer. If you had the foresight to carry an underinsured and uninsured motorist policy, it should pay out when you need it. Don’t let your insurer deny your claim when you need them most; retain legal counsel to exercise your rights. We can determine whether your case was handled inappropriately and then fight on your behalf if it was. Hiring a lawyer can be overwhelming. To help you, we have answered some of the common questions people often ask when they are searching for an attorney. Are you a lawyer looking to gain an edge in your case preparation and presentation? Jeff’s unique combination of skills and experience can help you win. Boyd Trial Consulting helps trial lawyers prepare and plan their cases to meet the needs of the jury. Our focus group methods are designed to gain insight into the facts and arguments that are most powerful and persuasive to your jury pool. With this knowledge, plaintiff’s trial lawyers will walk into the courtroom with renewed confidence and the tools they need to win.